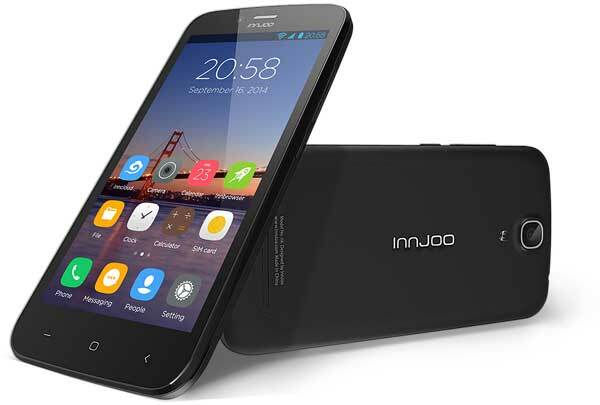 The Innjoo Note E is the 2nd Phablet in the InnJoo’s Note series and also a successor to the Innjoo Note. This new Phablet can be seen as an upgrade of the former InnJoo Note because it comes with some exciting features including an ultra-large 5.5″ QHD screen which featuring 960*540 In-Plane Switching Technology (IPS) for better picture quality, 8.7mm for the thickness, Note E’s elegant design makes you fall in love with it at first sight. It possesses a strong and durable 2500mAh battery. Innjoo Note E also sports 8megapixels back camera with 2megapixels front camera and runs on Google Android 4.4 (KitKat). You can do more with this highly stylized touch enabled smartphone that comes fitted with a large 5″ IPS display with full lamination. The InnJoo Note E gives supports to WCDMA 2100. You can easily make call through 3G network which is faster and more convenient. Its Dual SIM cards and fast speed make you connect your family, friends and dear at anytime and anywhere. It runs on the Google Android 4.4.2 with a 1.3GHz MTK Quad-Core processor, 1GB of ram and 8G for massive storage to keep your favorite photos and videos. Also support 32G external storage, which is Unique Sony camera, shot for the vibrant Shoot with unique Sony camera. With front camera 2 MP, rear camera 8 MP, Note E helps you get colorful and lifelike images with the latest-generation auto-focus technology, ensuring you never miss a detail again. Price level The price of this smartphone is not yet confirmed. we do hope to keep you updated about its price and availability in Nigeria and some other countries.